Their allegations continue to be clear, as the RDB has its own budget, procurement system and is hiring its own officers, some 40% whom are from overseas. It was also unearthed in the Virgin Islands’ House of Assembly (HoA) yesterday, Thursday, December 20, 2018, by outgoing Premier and Minister of Finance Dr The Hon D. Orlando Smith (AL)—in answer to a question—that the Chief Executive Officer (CEO) of the RDB Board, Mr Paul D. Bayly is being paid more than him. He is receiving a whopping $300,000 salary per annum, plus allowances of $8,333 per annum. 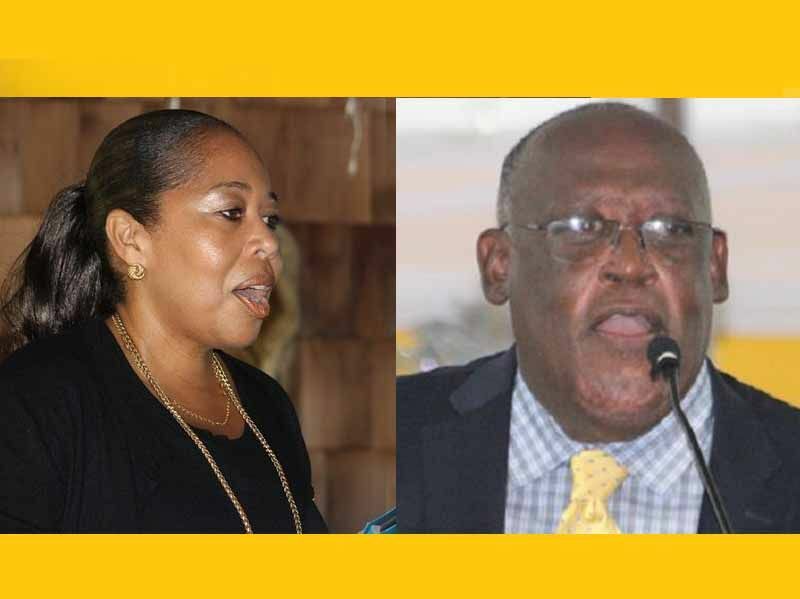 There are no other local, not even Dr Robert A. Mathavious, the CEO of the Financial Services Commission nor the Director of the BVI Tourist Board, Mrs Sharon P. Flax Brutus—heading two revenue earning agencies—whose salaries come close to Mr Bayly, a native of New Zealand. Mr Bayly ducked the question on Tuesday, December 11, 2018, in an interview with Mr Claude O. Skelton-Cline on his ‘Honestly Speaking’ show on ZBVI radio. In addition, Mr Bayly and his family receives a round-trip from New Zealand, believed to be first class. 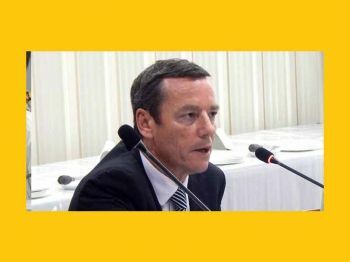 The board was set up by the United Kingdom (UK) following Hurricanes Irma and Maria of 2017 because of the mistrust of the Smith-lead National Democratic Party (NDP) Government, following their history—2011 to current—of mismanaging of public funds, allegations of corruption and lack of transparency. The Recovery and Development Agency (RDA) is responsible for the recovery and development of the Territory, post hurricanes Irma and Maria. He white what you expect? I wonder if that's our honest tax money. I know he have to be paid but Lord have mercy they going kill we. And still more than the premier. Where are the at the helms of nativism- to name a two amongst many: Dancia Penn-Sallah, Donald Decastros, and other Opinion Editors positions on this - inquiring minds want to know! Until then I withhold judgment/comments! holding my breath for a complete uk take over! They are an Agency that is rebuilding what was destroyed. How much should he get? $50k a year to repair what these idiots cannot. They should have insured Govt. property. I mean if they so Smart and have a Lot of Book Sense then why they did not do it. What is in there now is the Alternate Govt. Not the one who rebuilding. Also Robbie Mack is the Chairman. The man is qualified and should be paid accordingly. For those of you that live in ignorance or denial. BVI has been attacked. It's part of the UN Agenda 21....2030. The Supreme Act of War is to subdue the enemy without fighting. The New World order is a system that recognizes no limits of its authority, with forced control over every aspect of public and private life...without regard for ethics, morality, or life itself. The New World Order controls Media, Politics,Economy, Speech and engages in widespread use of Propaganda Campaigns and total surveillance. The system stays in Political Power through Mass Terror. Climate change is the result of manipulating the weather completely. Geo Engineering causes climate change, creates drought, floods, extreme weather, devastation of crops, ozone destruction, ecosystem poisoning respiratory and neurological problems. Totalitarianism through Technocracy.....Total oppression through Technologies. Just to let them know we,re up to the time. Just exactly what is this gentleman's job description? CEO's don't "work", they micro manage, delegate and supervise. Where pray are the funds coming from for his salary, what are the terms (how long) is his contract? Wise Up... dis ah set up....the economic hitman dem here. Well, you get what you pay for...or do you? Walls, bvi airlines, green houses, raw sewage in streets, pockwood pond fires, schools under tents..
Let the man do his job, and be thankful someone has our backs after our track history with spending, we are broke and need help, guidance and regulations. Millions have disappeared and now your worried about a 300k salary. The big questions. With no loans known or advised, where is the funding for RDA coming from? There are enormous number of jobs for this institution that is to last 5 years. This is like going to somalia to teach children and wanting to be paid for your qualifications. You want high pay??? Go work in a place that was not devestated by a hurricane! There are volunteers who spent their own money to come here and help. !!!! Yet this is the type of man with greedy-selfish thoughts, come to take advantage of us while he can. That is the kind of person we should encourage and happily give them the first class flights + allowances. Not this man who dodges questions out of shame BECAUSE he knows he is being over paid in the face of our vulnerable position.